You must make reservations at least 5 minutes in advance of the time at Il Brigante Restaurant. We can prepare all our dishes for catering purposes. The restaurant can be reserved for private parties, up to 50 people seated and up to 70 standing. Il Brigante Restaurant was created with the goal of replicating some of the tastes and traditions of southern Italian cuisine, using the freshest and best quality ingredients to make simple and authentic Italian fare. Organic greens in balsamic vinaigrette. Romaine salad tossed in our homemade dressing. Penne with homemade slow cooked tomato and basil sauce. Traditional pasta with sausage ragu and caciocavallo cheese baked in our wood burning oven. Breaded veal cutlet topped with rucola and cherry tomatoes. Whole branzino baked in our wood burning over, served with roasted potatoes and zucchini. Amazing food in a very cozy location! Great location, delicious food. Attentive service. Definitely return here. Excellent food. We were a group of four and everyone loved their food. The flavor profile is out of this world. Everything about this restaurant is amazing! It is our favorite when we visit New York City! NYC is known for having great Italian food and this small gem of a place does plenty to deliver on that tradition. Entering the restaurant you are immediately hit with the aroma of wonderful food. 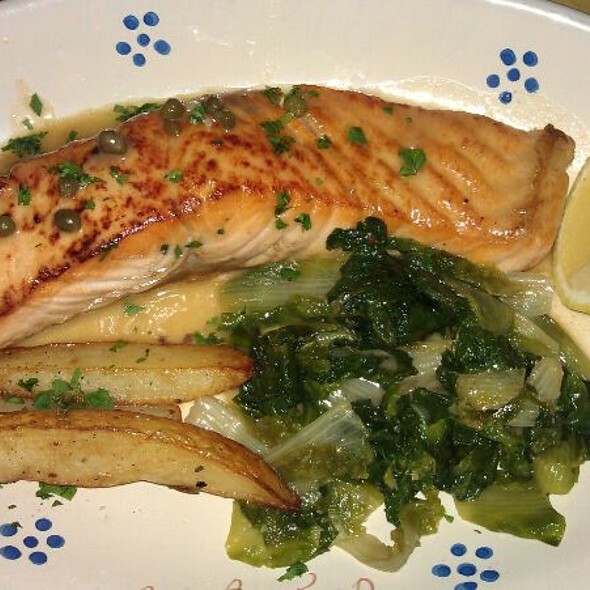 Classic recipes are executed flawlessly with nightly specials that add creativity. Attentive service in an energetic but intimate setting make it a winner across the board. Disappointingly was asked to move tables in middle of meal to accommodate a larger incoming party. Was offered a free dessert in exchange, and we complied, but especially at a restaurant I call one of my favorites -- with good people running it -- I did not expect to be disrupted this way so the restaurant could make a few extra bucks on a Friday. Extremely disappointing. Still will go back, but hope this never happens again. 10 of my friends have already made reservations since I’ve visited the restaurant. I’ll be back. My friends and I were in town for a girls weekend and this place was a recommendation. We had a few special orders and the server and the kitchen went above and beyond to accommodate us. Our server was so polite and attentive. This is such a hidden gem. Lots of tables...very tight. Difficult to maneuver, but the food and wine were delicious. Came here with a couple of coworkers. 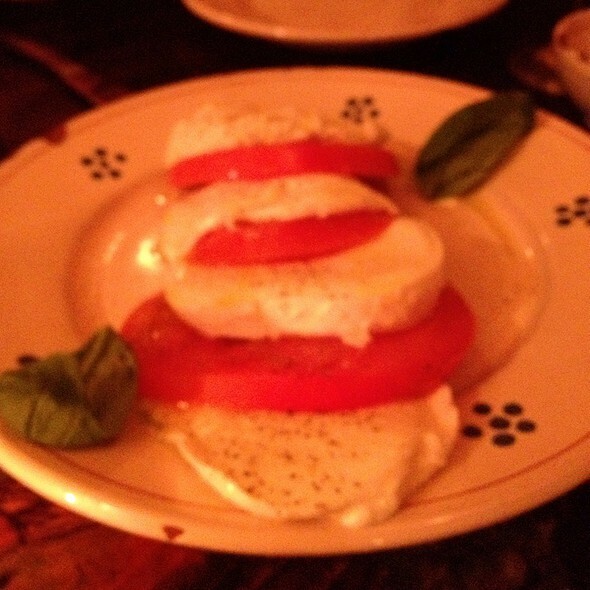 We split the bruschetta (really fresh and flavorful) and got our own entrees. Both veal meals were enjoyed and I had a personal pizza with arugula, prosciutto, and shaved Parmesan. Good service and good location. My dining experience at Aul Brigante was very good. The staff was attentive and professional. My only complain was the noise level was a bit high but I would definitely return. Everything was great! The owner accomodated our last minute request to add two more people to our already large party, even on a bustling Friday night. They provided great service and food, and we had a wonderful "only in New York" experience! Would love to go back and try lots of other things on the menu. Great place and staff. Second time there and still good. Great food and terrific atmosphere. Wait staff was friendly and knowledgeable. 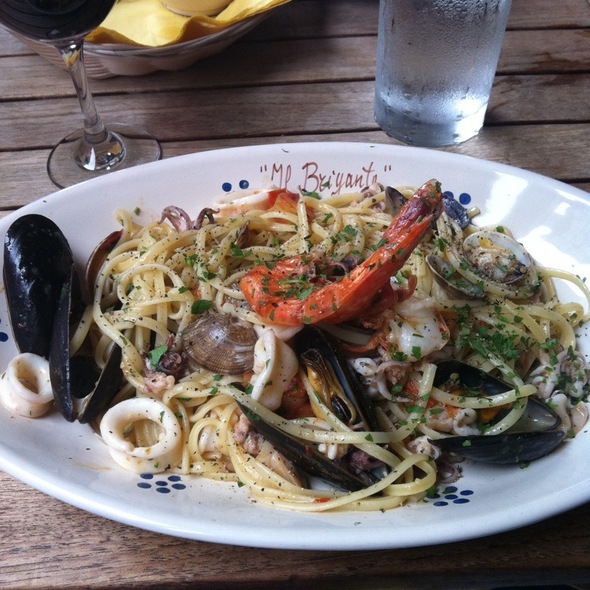 A terrific, small, friendly Italian restaurant, with good food and wonderful service. Our hostess/waitress was spot-on for everything... attentive, quick, smiling, patient, and thorough. The food was terrific, from the pastas, meat & fish dishes, and pizza options. All were delish, and on-point for our expectations. Prices are above-average, but the ambience, high-level service and warmness of people, easily makes up for it. A wide selection of tasty wines, smooth desserts and coffees, etc., made for a well-rounded dining experience. We easily recommend this 'trattoria', and hope more will enjoy. One reminder: it is a very small place, so book early ... esp for larger groups. Terrific evening! Outstanding all around! Always a favorite for me and friends! It is a hidden gem. Excellent every time. Stumbled upon this place once and keep coming back. We loved it so much we came again the next night! Beautiful Italian food and wine! Great Italian for great value! We had a lovely family meal here after a very busy day sightseeing! The food and wine was great. Best of all was the vibrant atmosphere and great service! Would highly recommend the restaurant to both locals and tourists. It's definitely worth making the trip to eat here. Best meal in NYC for our family. The service experienced at this restaurant was very poor! The server never showed us to our table, and didn’t bring water until we asked. Very poor service, I would never recommend this establishment to anyone, save your coins and eat somewhere else where you are welcomed. Very disappointed in this establishment, as I frequently travel to NYC and never experienced this type of treatment. Very authentic Italian restaurant. Lorenzo and Sara were great! Very good food and reasonably priced around the seaport. It was a bit noisy but the food was good. I didn't really like the sauce on the pizza a bit bland. But, chicken dish I had was good. Amazing! Lorenzo really made or night. Reservation for 8:15 and was seated at 9 PM. The host/manager kept saying another 10-15 min. Waitress was very cold, unattentive. First time ever posting a review in general and I wrote this negative review, but was disappointed. The food and service were exceptional. Great experience. Loud and energetic. Wonderful meal, every aspect was great. We had a simple pasta and the salmon, both executed beautifully. The salad appetizers were super fresh, generous, and dressed perfectly. Excellent Italian food! Luv it! Been back twice since 1st dining. Back tonight again. The restaurant is on the small side with just a wine list. 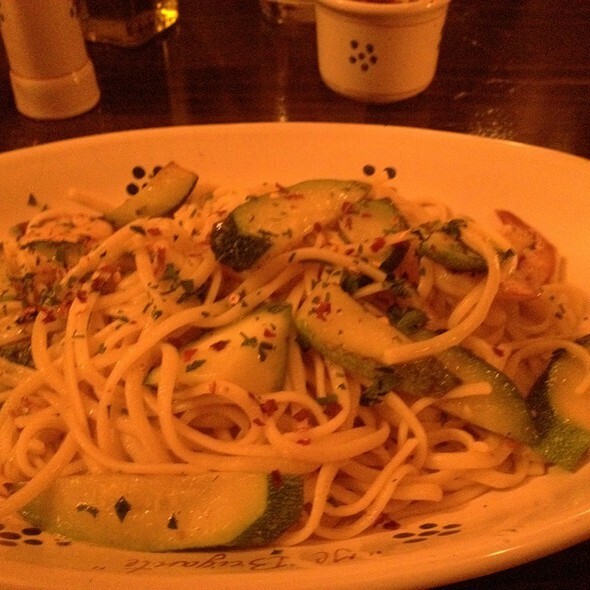 Overall the atmosphere is very vibrant, food is very good and traditional Italian. We had a group of 11 which took up quite a bit of the restaurant. The noise level was a little high but we were causing most of it. They did a great job with that large of a group and the food was really really good. We've eaten here at least 20 times and the food is consistently good, the staff is super friendly and they get you in and out quickly (but don't rush you). It can become quite loud in there if there is a party of 6 or more and it's a little packed in but that's part of the charm. The decor is nothing special but it doesn't really matter since the food is so good! Really solid, quality Italian meal. All five diners were quite pleased with what was presented. This is close to our daughters school and we will return for a family meal again. It is very loud in the restaurant, so probably not a good choice for business meals. Great choice for family with children.